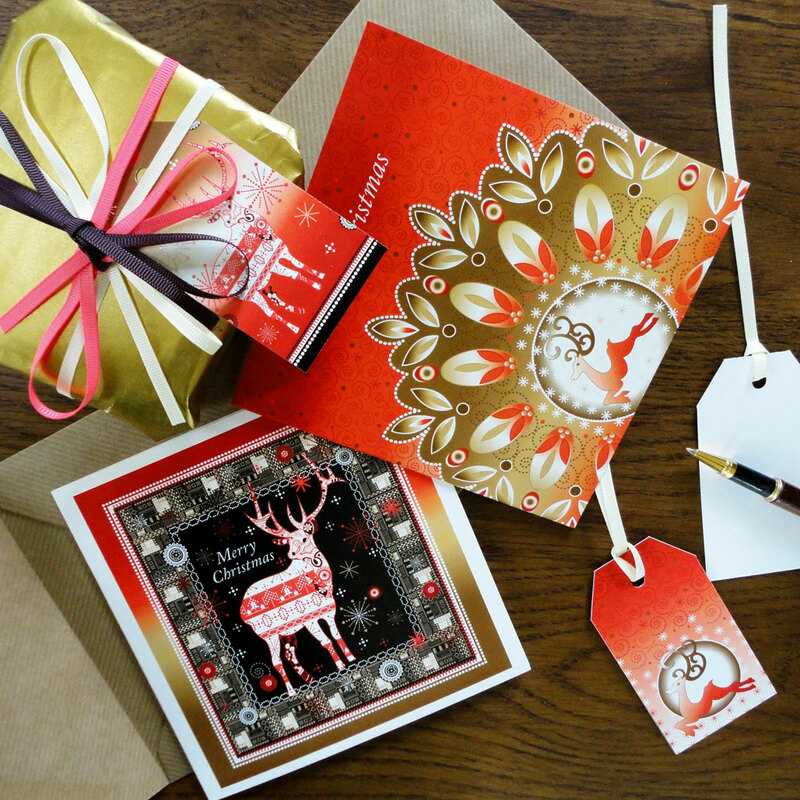 This glowing red colourful festive pack of Christmas cards contains one Ikat Reindeer, and one Reindeer Sparkle card, with a matching tag in each design. 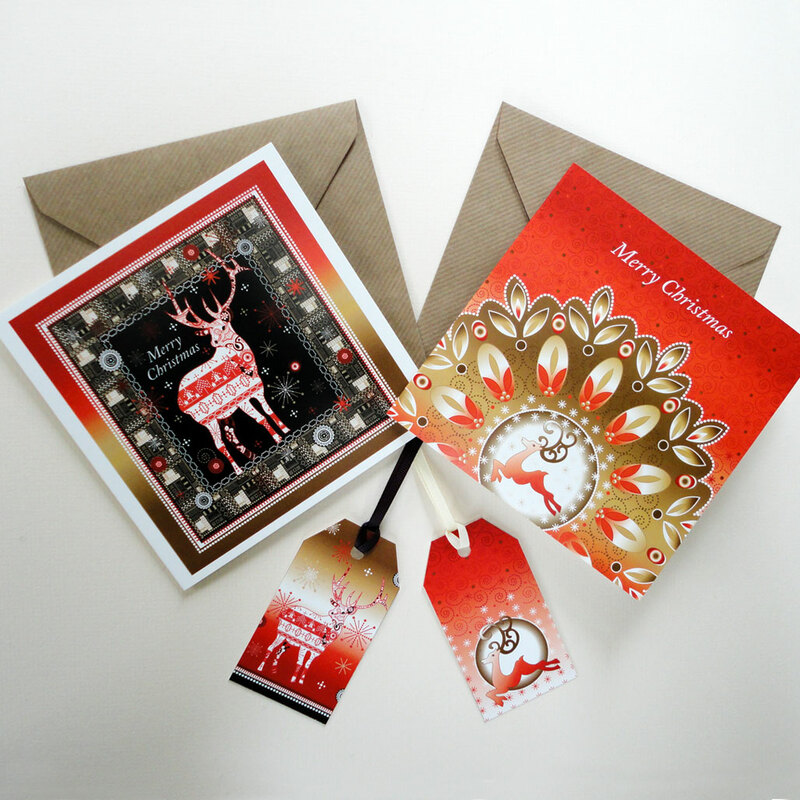 The first of these designs is the Ikat Reindeer, patterned in red and white, he stands on a black ground with snowflakes and the text ‘Merry Christmas’. A golden brown patchwork ikat pattern forms an inner frame surrounded by a red/brown ombre border. 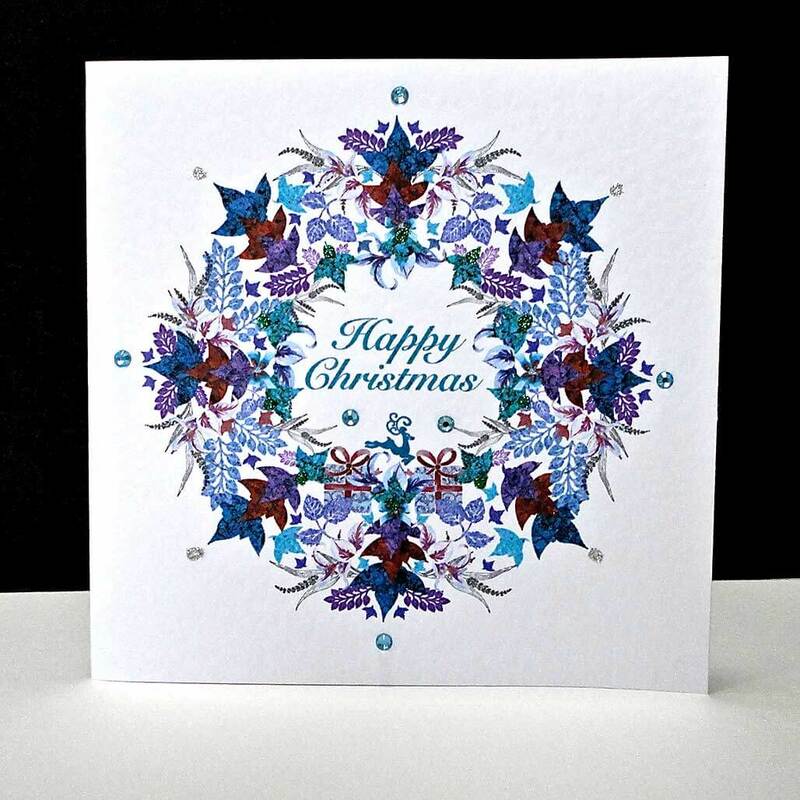 This design takes some inspiration from recent trends of fairisle and Nordic themes popular in Christmas designs over the last few years. The ‘Reindeer Sparkle’ is in a fabulously bright festive red /brown ombre, patterned with decorative darker red swirls. 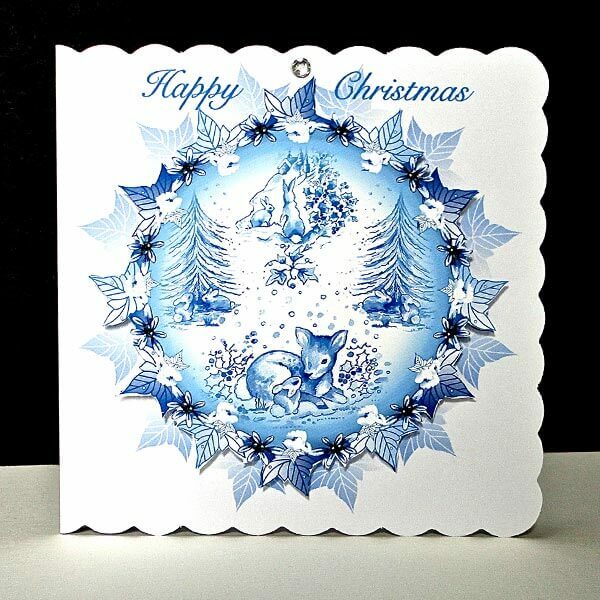 A large stylized snowflake in a brown tone, encompasses at its center, a prancing reindeer in a cloud of sparkling white snowflakes. White text stands out from the intense red to say ‘Merry Christmas’. 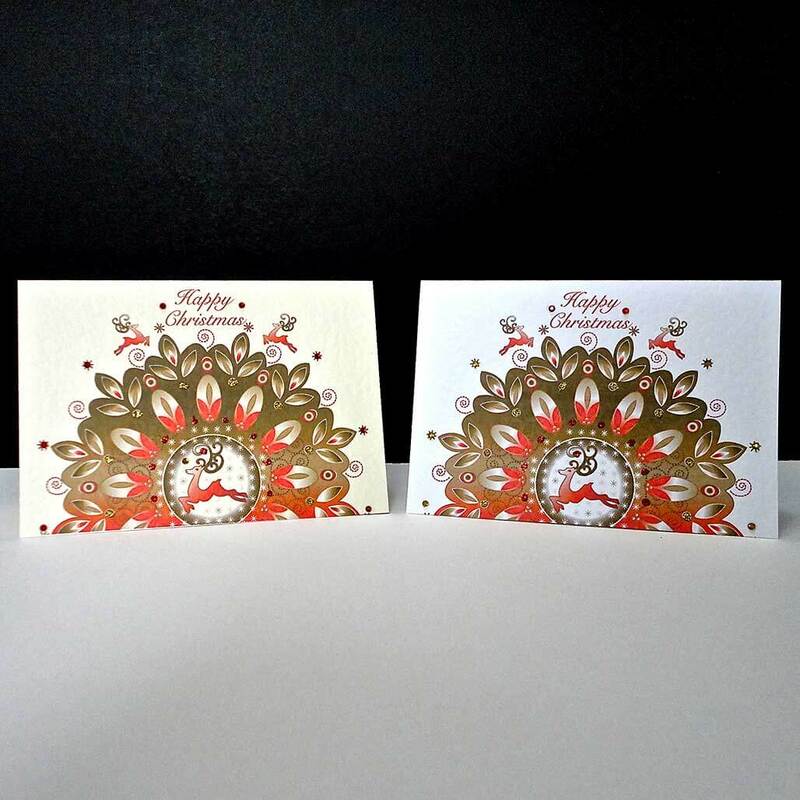 The two cards are left blank inside for your own personal message. Supplied with buff envelopes. 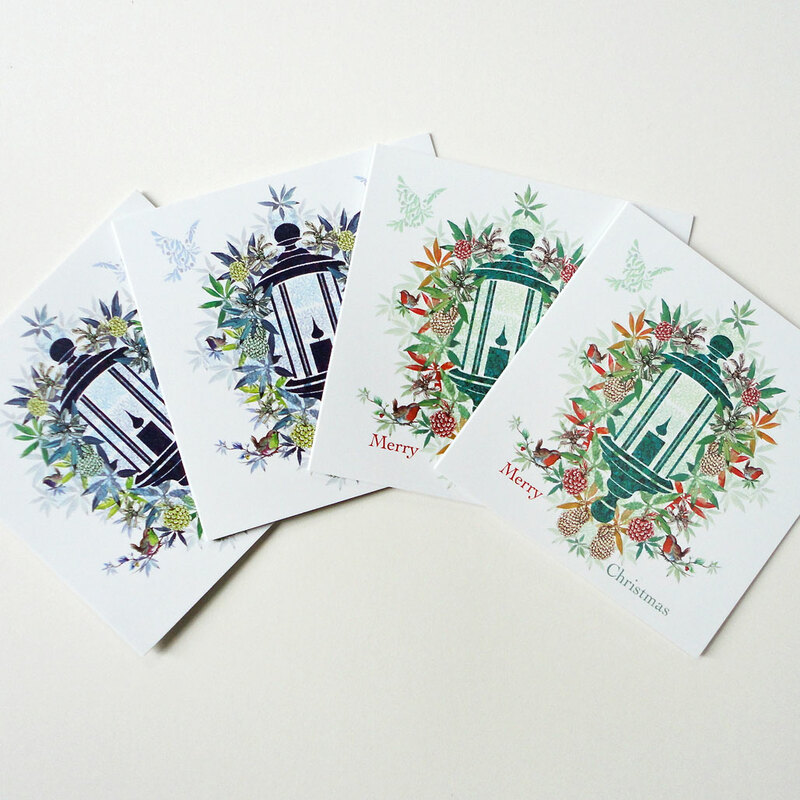 Card size: 150 x 150mm. 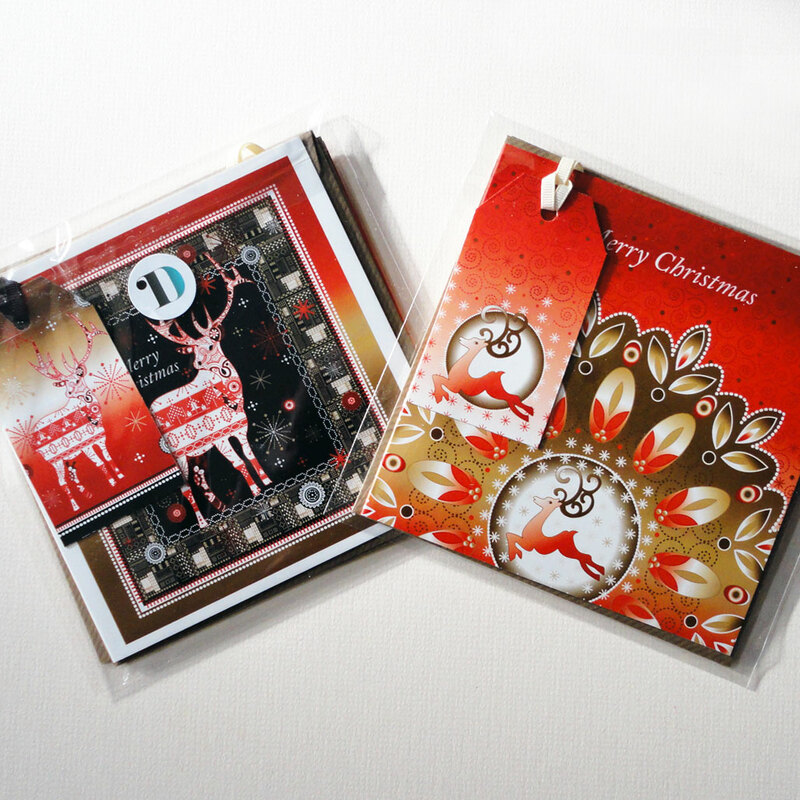 Two matching gift tags with cream and brown ribbon. Tag size: 55 x 100mm.